GO! And SURELY, You Shall Recover ALL!! Oh, How David’s faith in God must have been shaken. He was greatly distressed. He found himself a refugee and a ‘Wanted’ man from Israel – as King Saul continually sought his life to assassinate David, because he viewed him as a threat to his throne. David had since defected and was now serving in the enemy’s army- the Philistines, currently under King Achish,…but there too, he met rejection when the Philistine princes refused to permit David to fight in the war against Israel, suspecting that during the heat of battle, David would turn against them and fight in favor of his beloved Homeland. And so David was sent away, back to his town of refuge that was given to him by King Achish -Ziklag, only to find that the town had been burned to the ground and all of his possessions had been stolen and his wives and children had been taken away into captivity. Verse 30:4 tells Us that David and his men were devastated. They fell to the ground, grieving in bitter sorrow…and they weeped and weeped…until the had no strength left. Here We find David in a mental, emotional, and spiritual pit. Yet while he was mourning for his family, his men- those who he considered his ‘faithful friends’ in times of trials and tribulations, ‘his comrades’ on the battlefield, his ‘trusted companions’ began to speak of stoning him. Well, David’s men had decided that David was to blame for this tragedy. 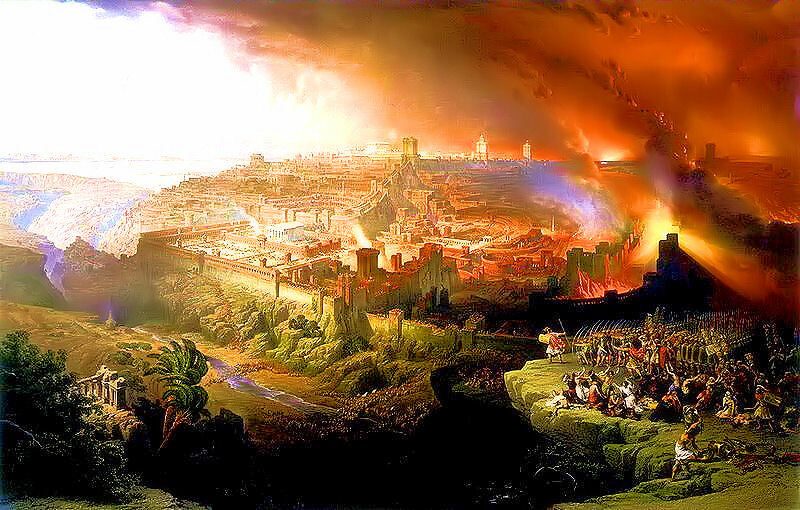 After all, it was his bright idea to abandon their wives and children, leaving them unprotected in Ziklag to fall victim to the Amalakites, while they- the husbands and fathers- were away preparing to fight on the wrong side of a war against their own countrymen, God’s chosen people, Israel! So David finds himself confused, stressed-out, and overwhelmed with guilt. He was both despondent and broken-hearted when he begin to remember the faithfulness of God in his life. David remembered that God had given the 9+ foot giant, Goliath into his hands on the battlefront in Israel. David remembered how many times God had caused him to slip out of the wicked grasps of King Saul’s fingertips, barely escaping death from his treacherous hands. David remembered how God had chosen him to be king and had sent Samuel to him to anoint him before his father and brothers, who had also rejected him. David remembered that when he had been forced to flee for his life into the land of the Philistines, God had given him 600 trusted men to accompany and defend him. It was these same trusted 600 who were now speaking of stoning him, but as David continued to reflect on How God had always been present and active during the toughest times in his life, and how God had never forsaken him, David realized that his head was no longer hung quite so low, in sadness and sorrow. He also noticed that his countenance was no longer reflecting despair. He found that his soul was no longer devastated by his current circumstances. So, David recommitted himself to the Lord and renewed his hope in God and sought His Glorious Face in prayer, asking Him for direction. God Answered, encouraging David to pursue the troops that had burned Ziklag and Reassuring David that He would recover absolutely everything that his enemies had stolen. God said, Go! And Surely, You Shall Recover All. → THE GOOD NEWS HAS COME!! ← Go Up and Possess Your Promise! !